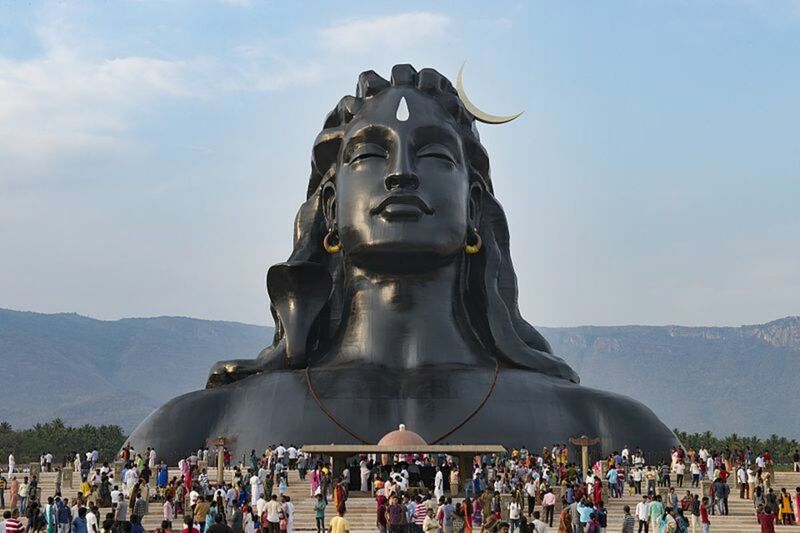 What Is the Largest Statue in India? India is a country where the majority of the people are Hindus. Worshiping idols of the lord has been going on for centuries. 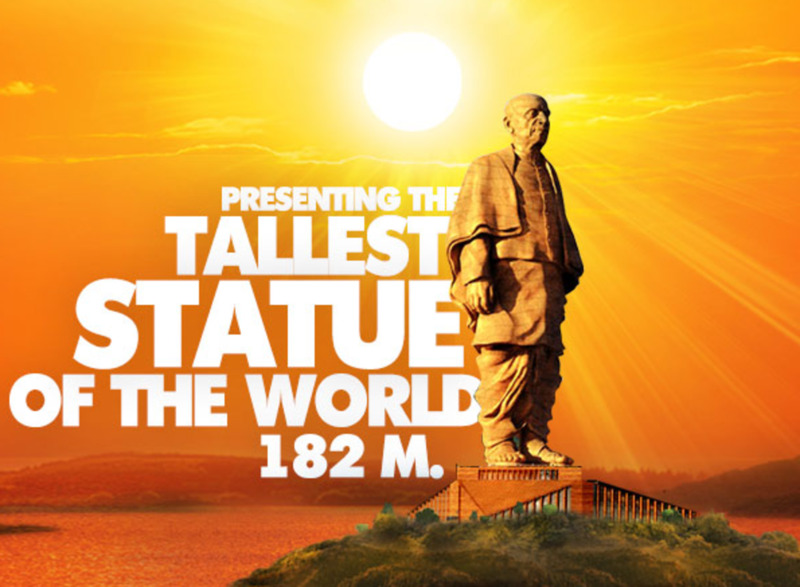 A massive statue known as "Statue of Unity" which would be of Sardar Vallabhai Patel (790 ft) is coming up in Gujarat. 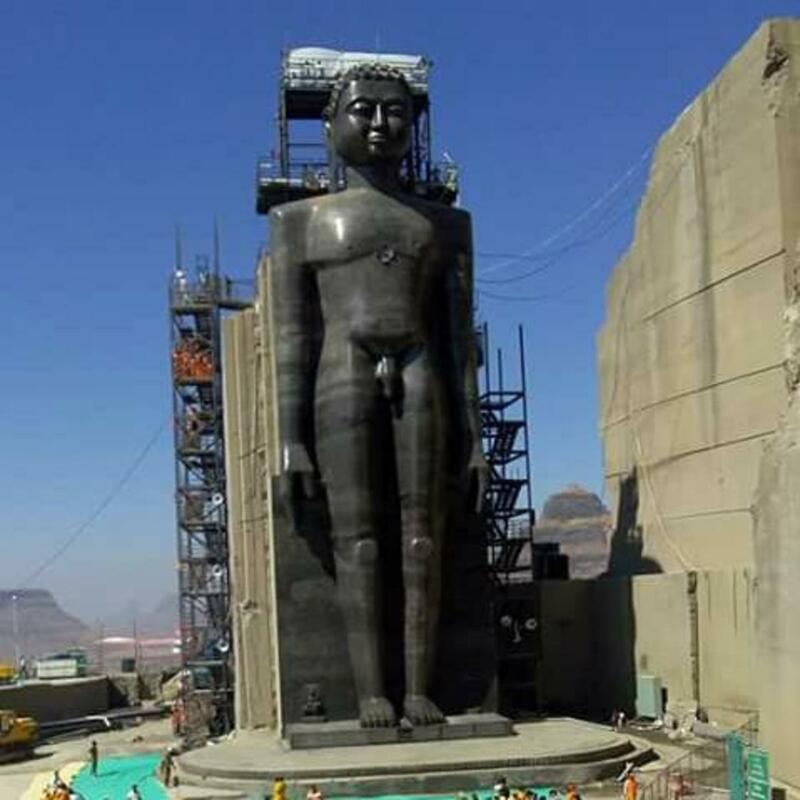 When completed it will be the largest statue of the world. 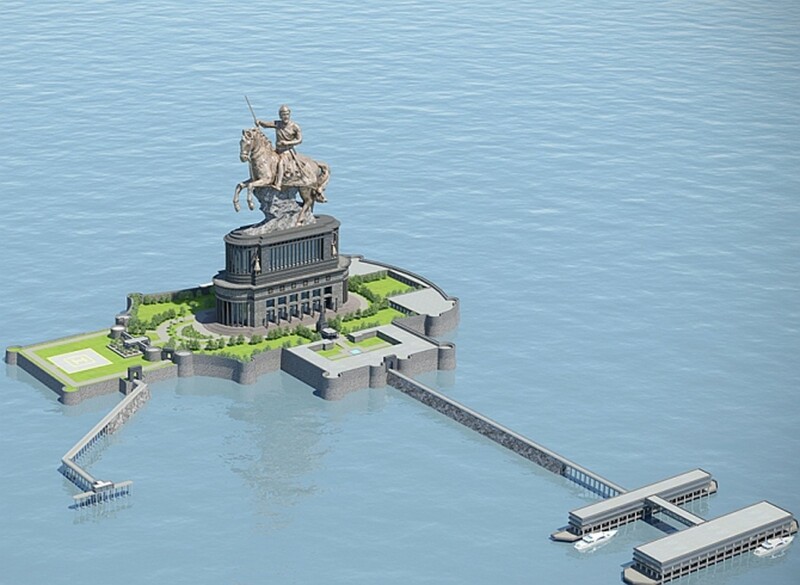 Another one such proposed structure is of Shivaji Maharaj (620 ft) in Mumbai. 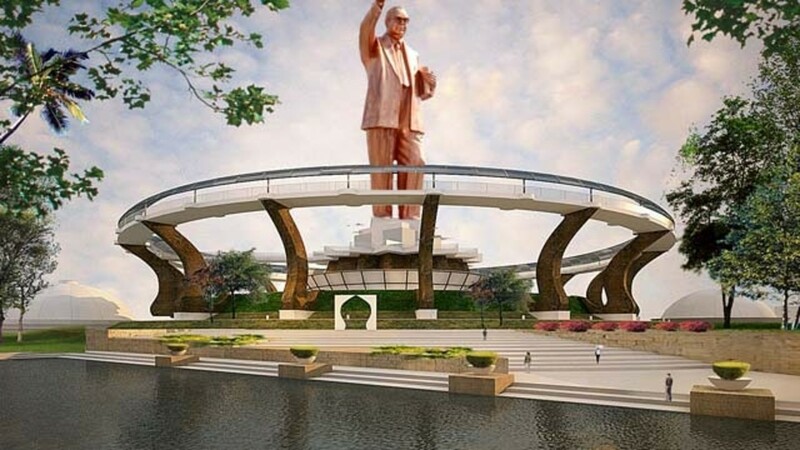 Also, Statue of Equality showing Dr. Ambedkar (350 ft) will be taller than the Statue of Liberty (305). From the tourism point of view, such monuments present a better image of the place and attract a large number of tourist. Which helps in employment and betterment of the society. Here is the list of top twenty biggest statues of India. 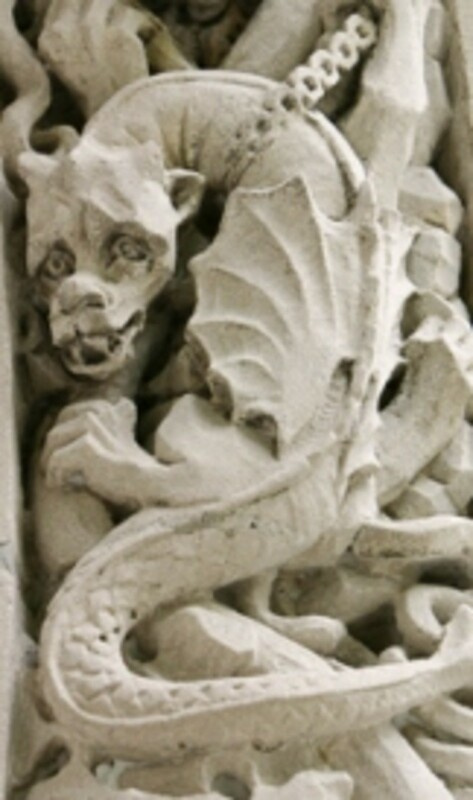 This is the oldest one in the list which was built in the 12th century. Carved out of a single rock and supported from the back is located in the famous Jain worship town known as Bawangaja. The statue depicts Lord Rishabhanatha or Adinatha who is the founder of Jainism. Located at the height of 4000 feet it will mesmerize you once you see it. The god of creation, destruction, and regeneration sits peacefully at Shivapur in Bijapur district of Karnataka. This sleepy town came into life once this saw the day of the light. Inaugurated on the auspicious day of Mahashivaratri on 26th Feb 2006. Now a place which attracts many tourists. The colorful looking Ganesha depicts the lord in the most unusual form with four hands and a five-headed snake. This is the largest Ganesh statue anywhere in the world. Ram bhakt Hanuman in his trademark pose showing Sita-Ram in his heart. 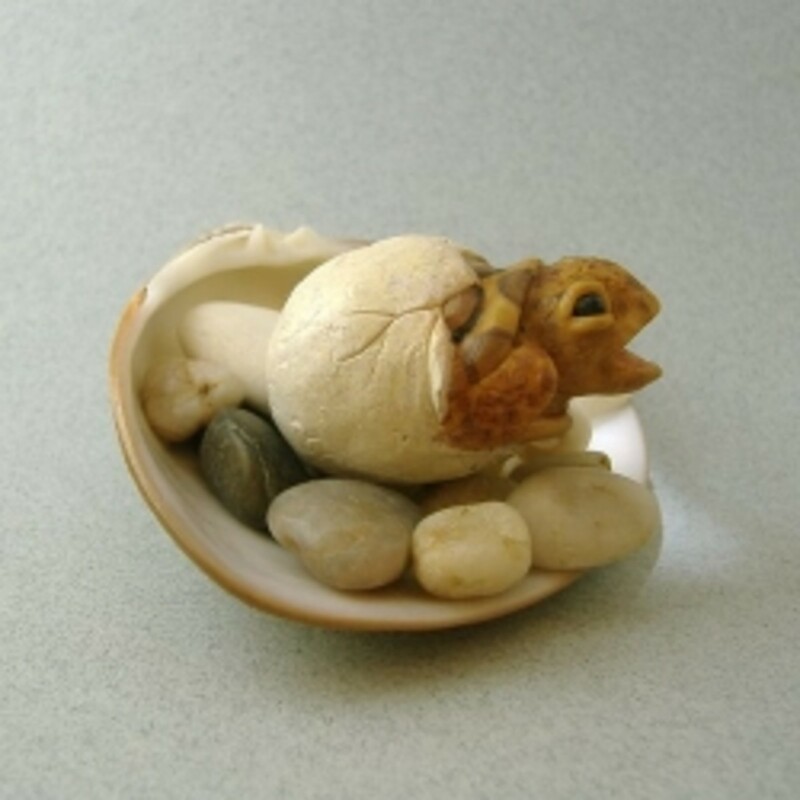 The craftsmanship of this sculpture is commendable and the colors make this come into a life of its own. Standing atop the small temple in the village of Abbirajupalem. This is a new addition to the list and completed in 2013. Har ki Pauri is a famous ghat on the banks of the holy river Ganga. This is one of the most visited places where scores of devotees of Shiva come to take His blessings. A sight to see, truly! The Chattarpur temple is one of the famous temples in Delhi. This is the second largest temple in Delhi spreading over 60 acres of area. One more magnificently carved Hanuman statue. Unlike many other, in this list, this has an ancient touch showing South Indian prowess. The light bluish color with the striking red is pleasing. 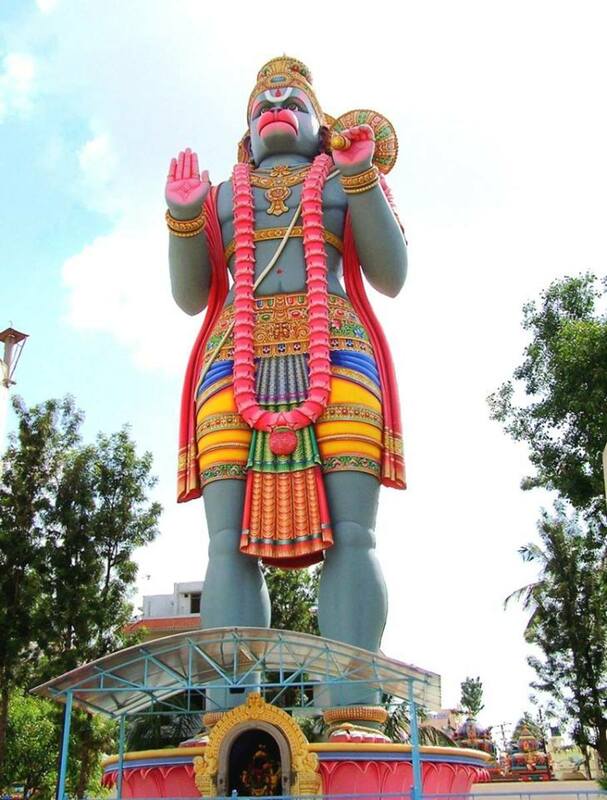 Nandura is a town much known for the Hanuman statue than anything else. Being close to the National highway and the rail lines, you never know you might someday unknowingly cross this. 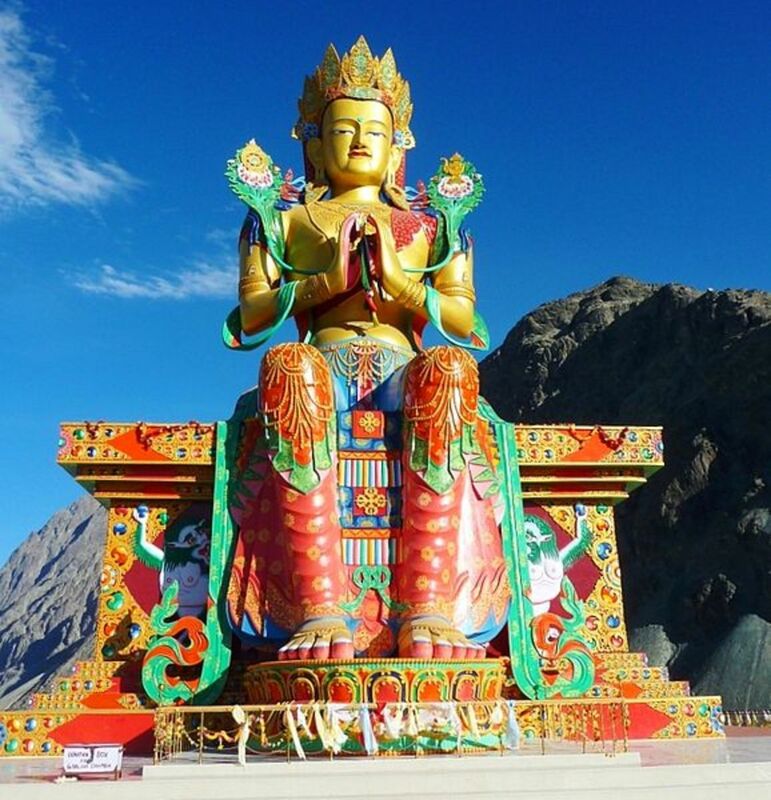 Located near the Nubra valley this was completed in 2010. According to the temple trust, it promotes world peace, protection of the Diskit village, and prevention of war with Pakistan. 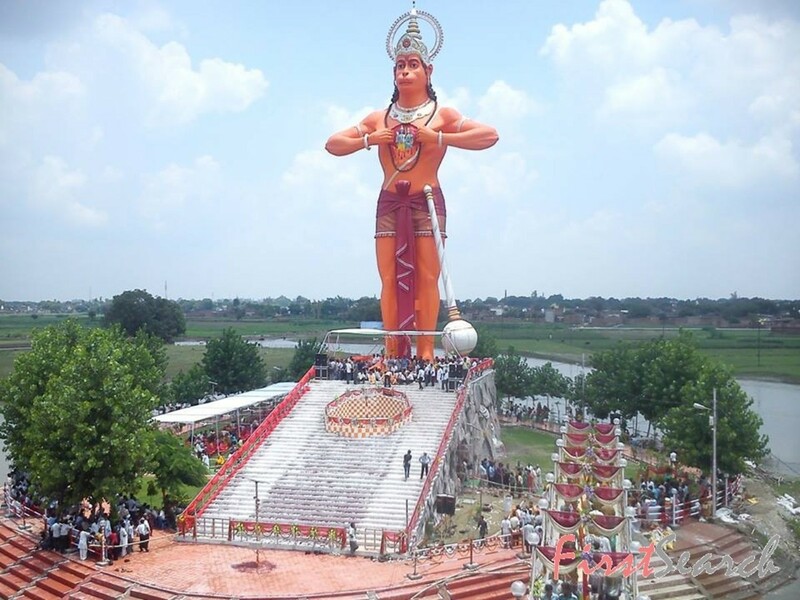 The town of Shahjahanpur brings us one more tallest statue that India has of Lord Hanuman. Located in the town known as Clement, in Dehradun, Uttarakhand. More so at Kagyu Monastery near the Mindrolling center, actually pronounced as minhdrohlyn, meaning Place of Perfect Emancipation. Built by Ven. Ga Rinpoche. The place is now one of the major centers of Buddhist education. Sculpted to perfection the Hanuman statue is a recent creation which was completed in 2010. Seen from many parts of Shimla and is a further boost to the tourism of this place. According to legends, this is the place where Hanuman stopped and asked Dronacharya about the magical herb Sanjeevani to save Laxman. Basavanna was born in the 12th century, known for his Shiv Bhakti and was an ardent follower of Shiva. This is the world's tallest statue of Basavanna paying tribute to his teachings. Jainism is known for its non-violence way of living life. 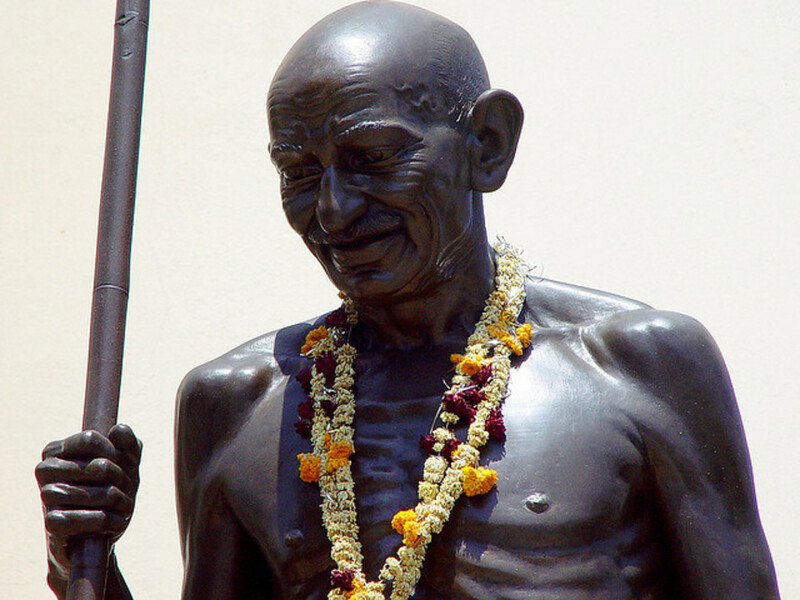 So much so that Mahatma Gandhi was one of the many people who adopted its teachings. Aptly known as Statue of Ahimsa is the tallest Jain statue in the world. This reinforces the way of ahimsa among its followers. The pilgrim town of Palitana's major attraction is the 108 feet statue of Rishabhanatha. The golden color shining statue along with the triangular support depicting various other gurus is the most revered among Jains. This statue, of late, has become a trademark in the introduction of Delhi. Close to Jhandewalan metro station is one of the must-visit places in Delhi. Watch the short video which shows the automatically moving hands, quite a visual treat. At 108 feet this is the tallest statue in Delhi. This is the tallest one in Tamil Nadu. Inaugurated in 2017, this shows Lord Shiva as the first yogi. 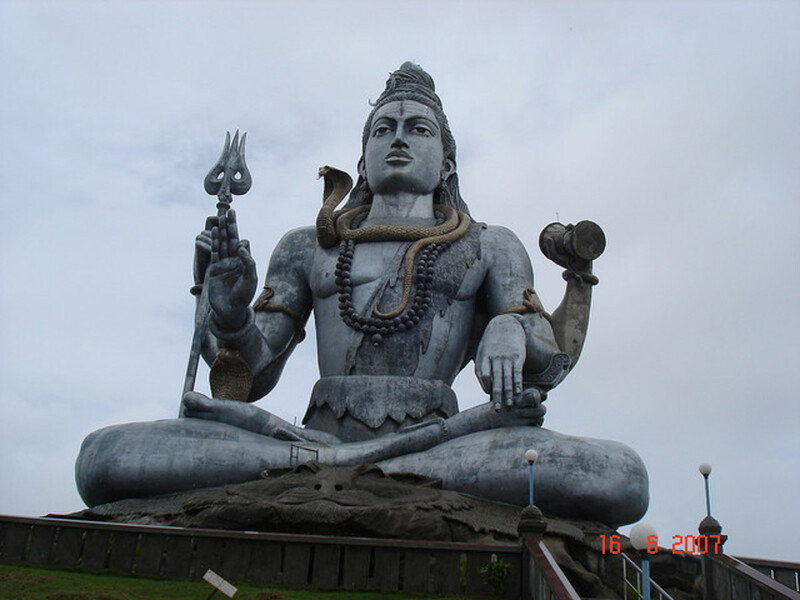 Shiva is known as the creator of Yoga. According to yoga, there are 112 ways to gain moksha hence the height of this is kept at 112 feet. 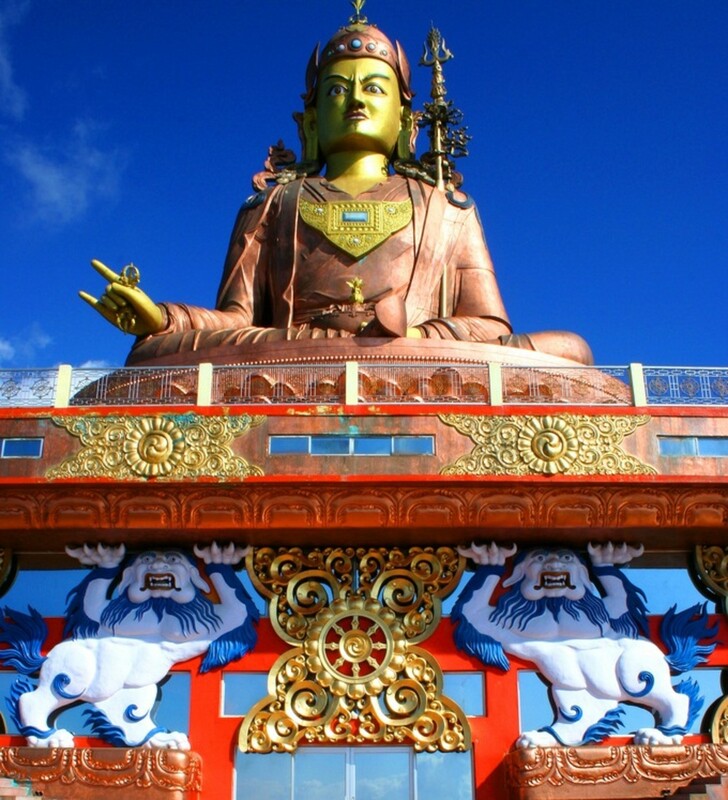 Another statue of Guru Rinpoche located in Namchi in Sikkim also founds a mention in the list. 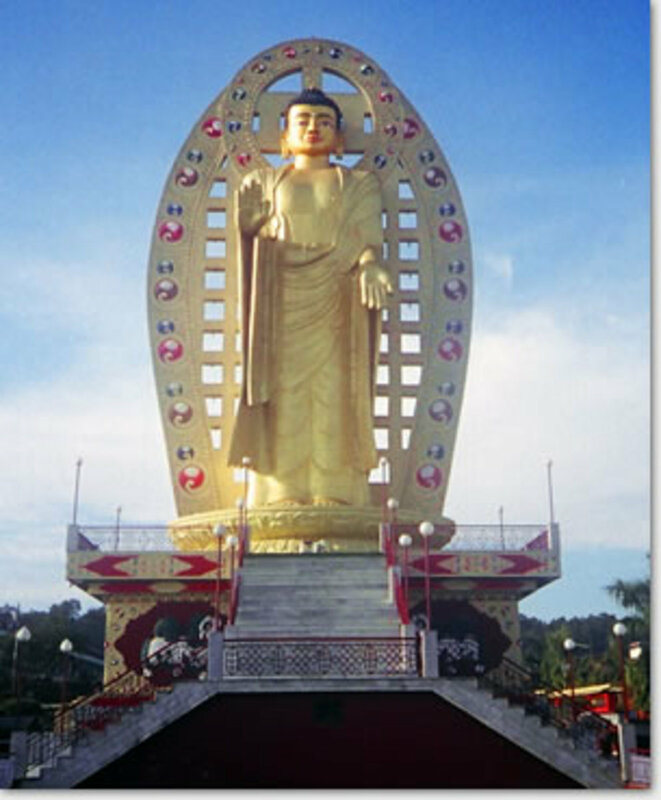 The place is famous among Buddhist and it is one of the major pilgrimage centers in Sikkim. This was thrown open in 2004. Also among the tallest is Shiva of Murudeshwar. The town's name is because of the statue itself. 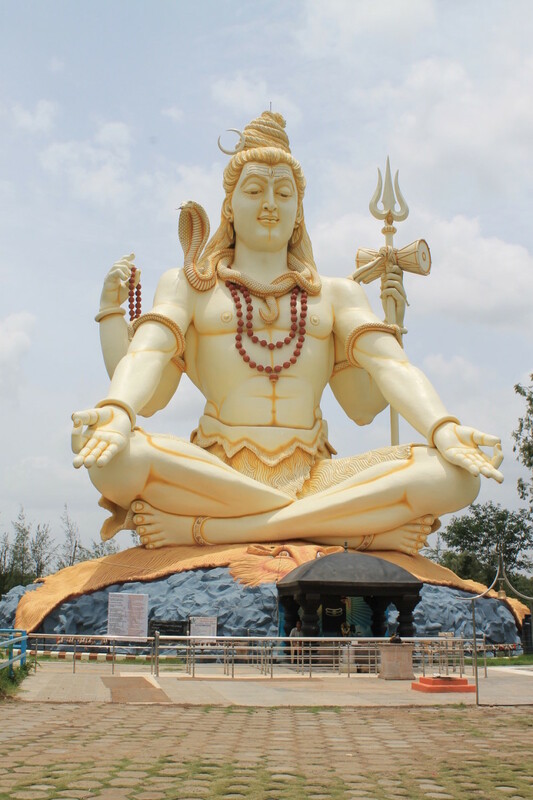 This is also the largest Shiva statue in India and the second largest in the world, first one being in Nepal. There is also a temple nearby dedicated to Lord Shiva and the whole area makes for some good photography session. And if you are a painter then don't forget to bring your canvas. 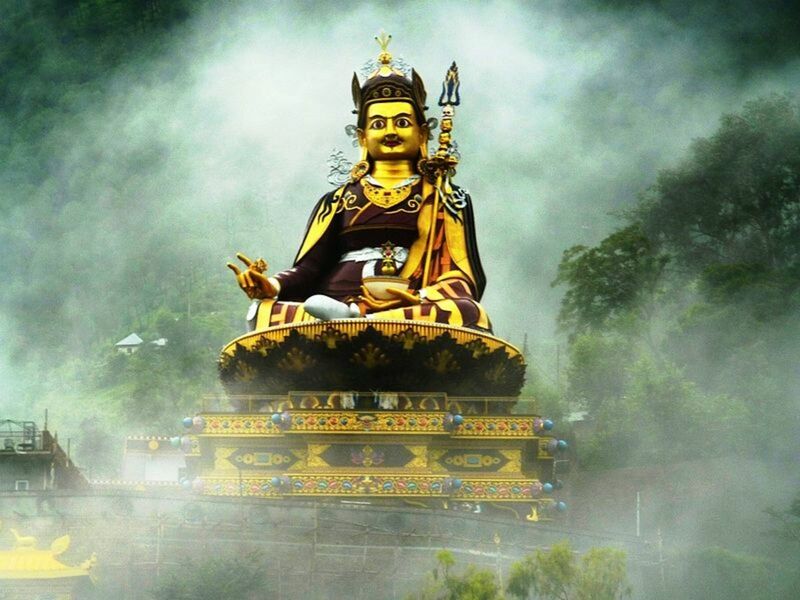 Known as the second Buddha, Guru Rinpoche preached and spread Buddhism in Tibet and Bhutan. 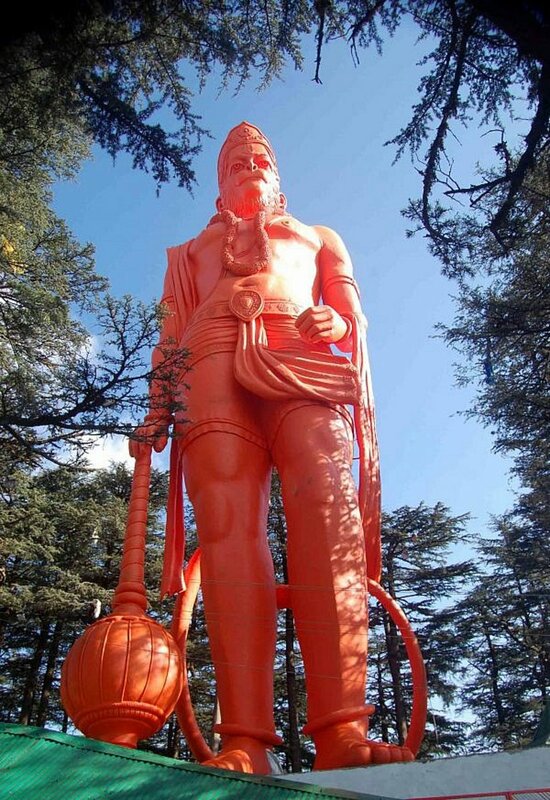 It is the second largest statue in Himachal Pradesh. The statue is nearly 4,000 feet above sea level. There are also some Buddhist monasteries and Hindu temples near this statue. The place is frequented by Buddhist and Hindus. 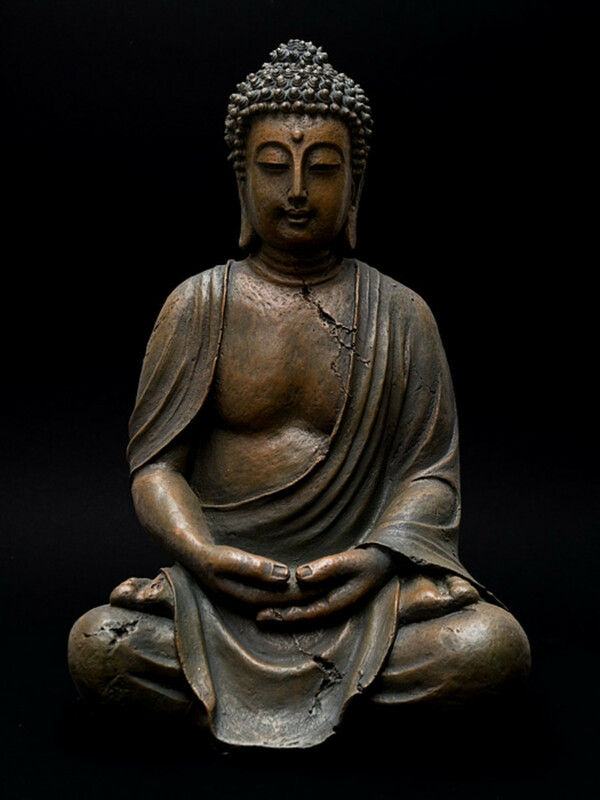 Besides the statue, it houses a museum that has various other sculptures signifying Buddhism. 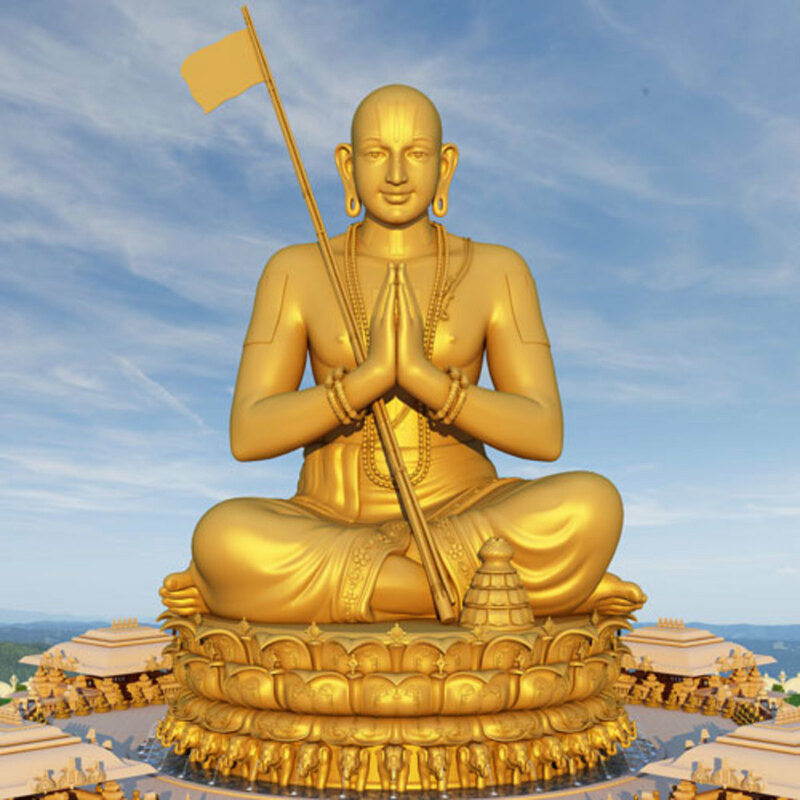 The Andhra Pradesh Tourism board has also announced a theme park in front of the statue which is scheduled for completion in 2018. 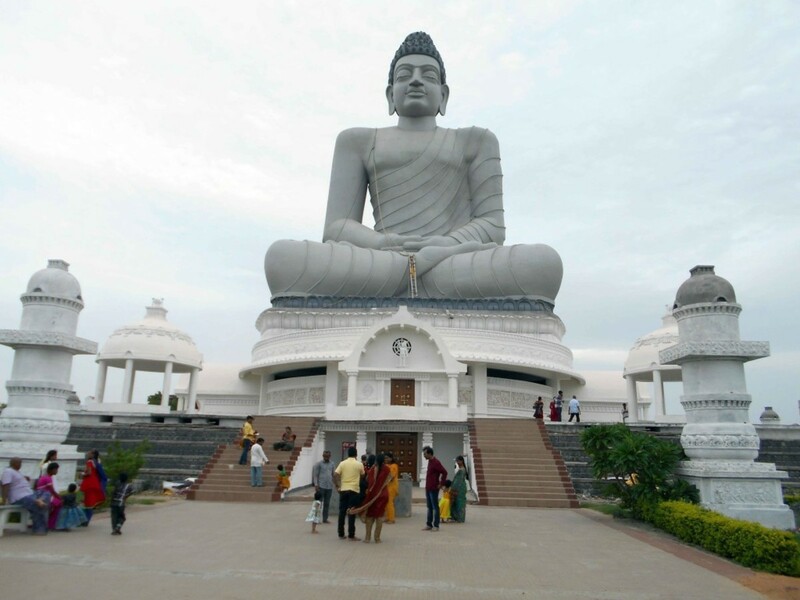 Presently, the tallest Buddha statue in India. Unveiled in 2013 this is at the Rabong Gompa monastery. Our very own "Statue of Liberty", the setting of the statue seems like the one in New York. Located in the middle of a small island in Kanyakumari where the Bay of Bengal, Indian Ocean, and the Arabian sea meet. The statue is of ancient poet and philosopher which illuminates after sunset because of the giant lights installed in front of it. Seeing from a distance won't suffice you, go visit the magnificent wonder. 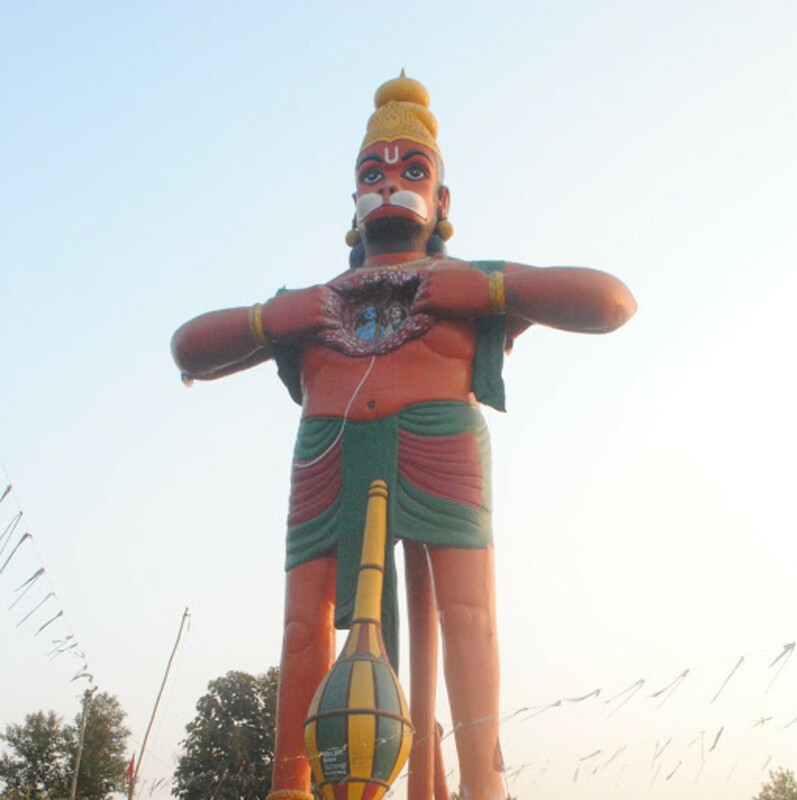 Largest statue of Hanuman in India and the world. 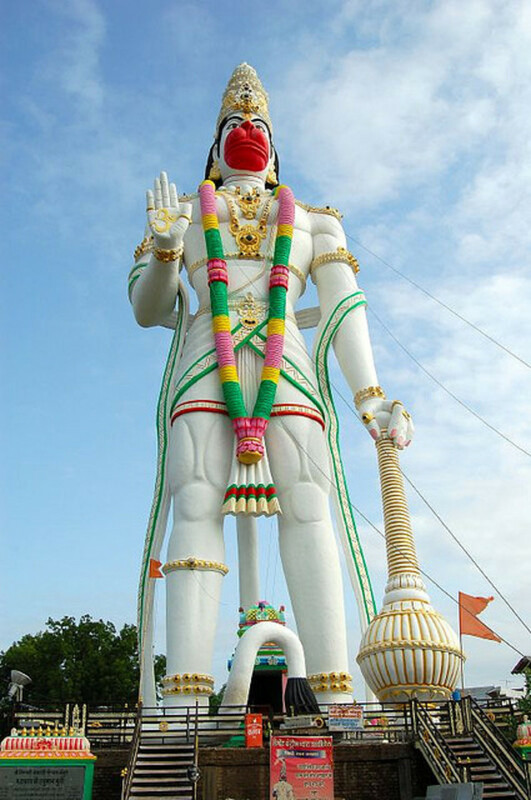 The tall standing Hanuman statue attracts many tourists; foreigners as well as domestic. This is being built marking the 1000th anniversary of Sri Ramanuja Swamy. This is scheduled to be completed in 2017. As I write construction is going on to meet the deadline. Dr. Ambedkar was a pioneer and champion of many path breaking ideologies. The creator of Constitution of India is admired by many across India. The creation of this is a fitting tribute to him by his followers supported by the government. Go visit any place in India from north to south you are bound to find a Shivaji statue. There is massive respect of the greatest Maratha warrior king all over India. To bring to terms this structure will be coming up in the middle of the Arabian sea. The visibility factor will be huge. You will be able to see this if you are at the Marine drive, or at Worli sea face, or from the Gateway of India, or even from Bandra Bandstand or Juhu beach. Pet project of Prime Minister Narendra Modi showcasing one of the tallest leaders of Indian Independence movement. Sardar Vallabhbhai Patel was a statesman and the first Deputy Prime Minister of India. This will be six times bigger than Christ The Redeemer (125 ft) of Brazil. This will be close to three times bigger than the Statue of Liberty (305 ft) of New York, USA. 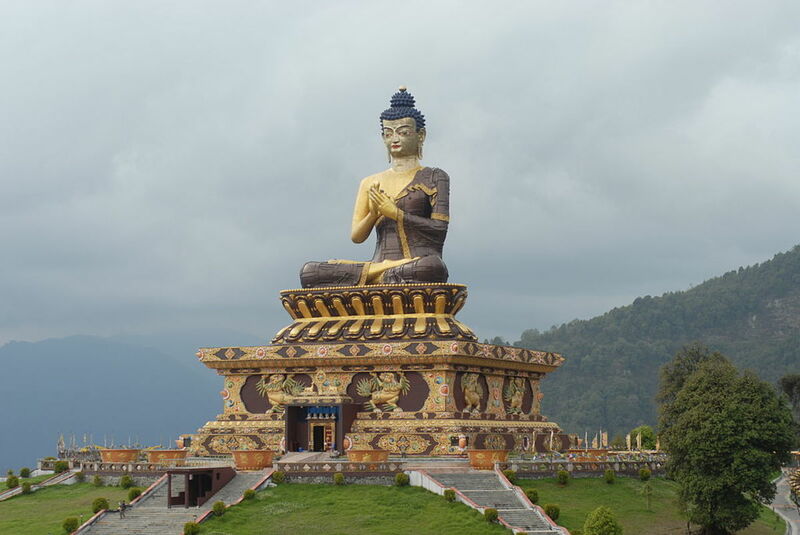 This will be almost twice as bigger as the tallest statue in the world today, Spring Temple Buddha (420 ft). Statues are like modern day heritage structures. Down the line say 50 years from now these will be part of our rich heritage. 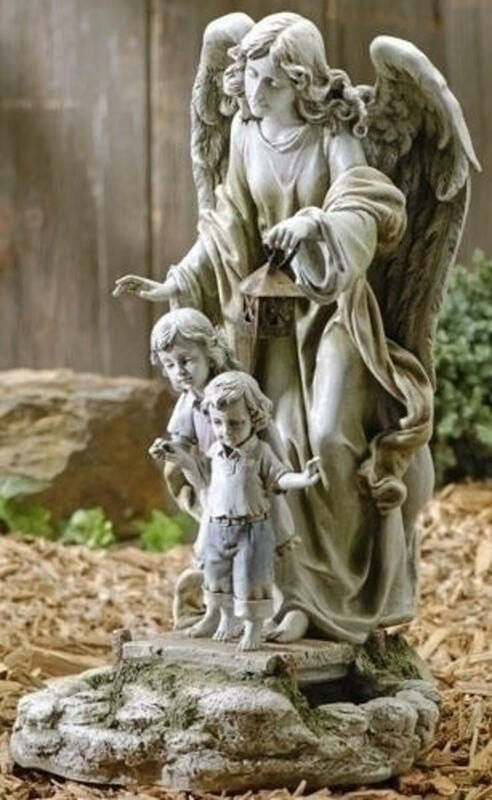 I love statues! These are so huge and gorgeous. My Hanuman statuettes are small enough to balance of a single finger each! Wonderful article with apt photos. Congrats. But I may point out one error crept in here. Murudeshwara is not in the state of Andhra Pradesh. It is in Karnataka near Bhatkal town on the Konkan coast. You can check my hub on Murudeshwara for more details. Please change the height of the Thiruvalluvar statue in kanyakumari. 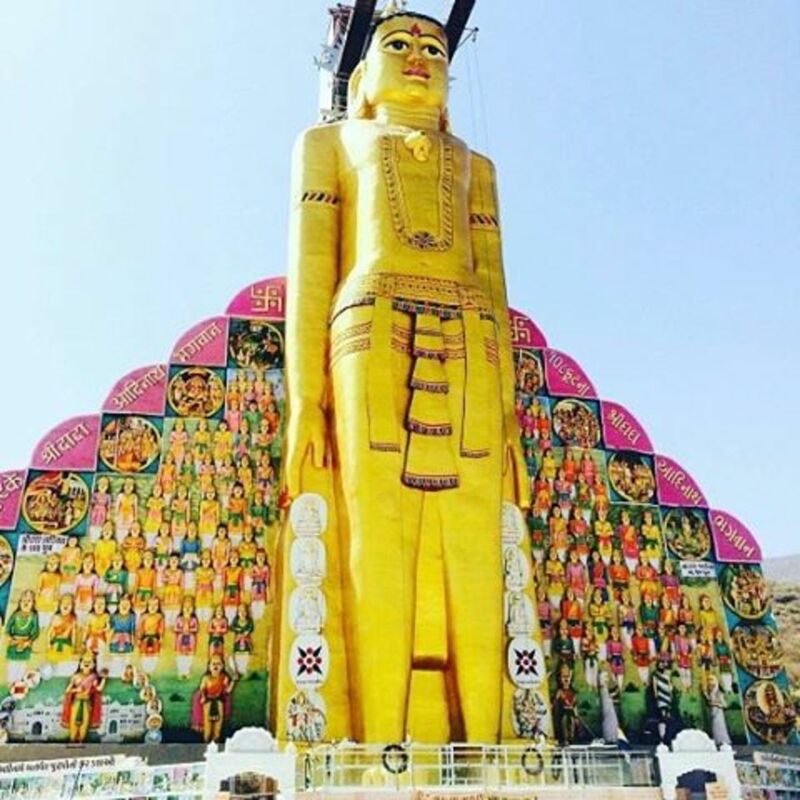 This statue 133 feet tall and represents the 133 topics in Thirukkural. Pease carve a LORD GANESHA'S STATUE from the most best of the most best hard stones. Bring the most best hardest stone from any part of the galaxy to Andhra Pradesh in India. The statue height must be 3333 feet height ( three thousand three hundred and thirty three feet height). Please plant this statue in Andhra Pradesh. May Lord Ganesha bless the whole world. I love Lord Ganesha. By Rajesh a devotee of lord Ganesh. 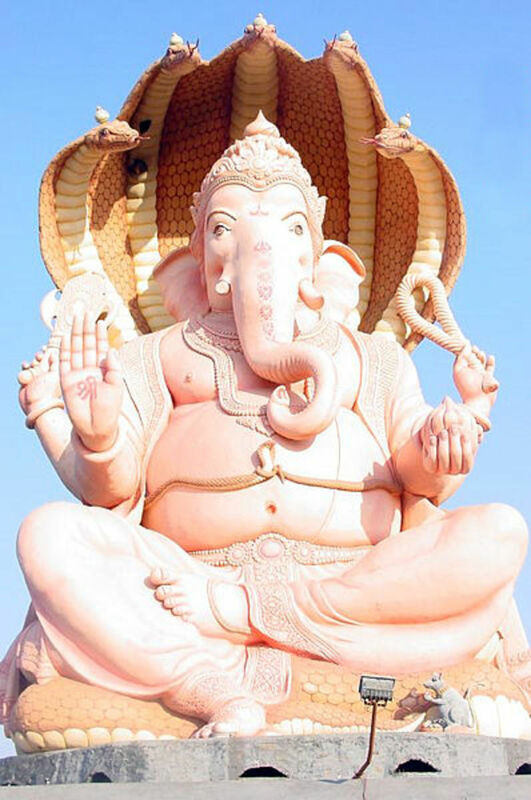 Om sri KANIPAKA VINAYAKA NAMAHA. Please carve a LORD GANESHA STATUE from the best of the best stones. Bring that most best hardest stone from any part of the galaxy to Andhra Pradesh in India. The statue height must be 3333 feet height ( three thousand three hundred and thirty three feet height). May lord GANESHA BLESS the whole world. I love Lord Ganesha. Where is the bigest statue of lord krishna standing on five head snake ?? Can't wait until my India trip at the start of 2014! The largeness of statues has no limit. But humanity, particularly Indians must rethink on the waste of resources related to religions which decimate human spirit. Interesting and informative hub. Thanks for sharing. Shared and votes all up way. 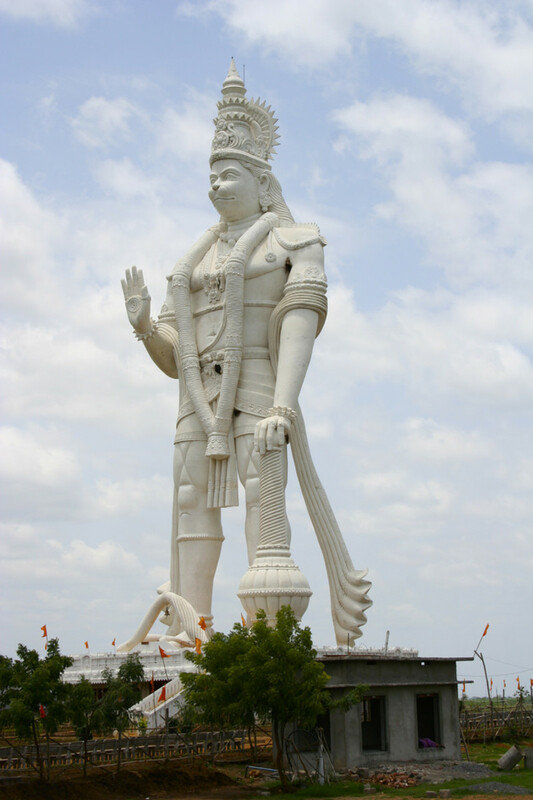 kannanwrites, Thanks for sharing the largest statues in India. 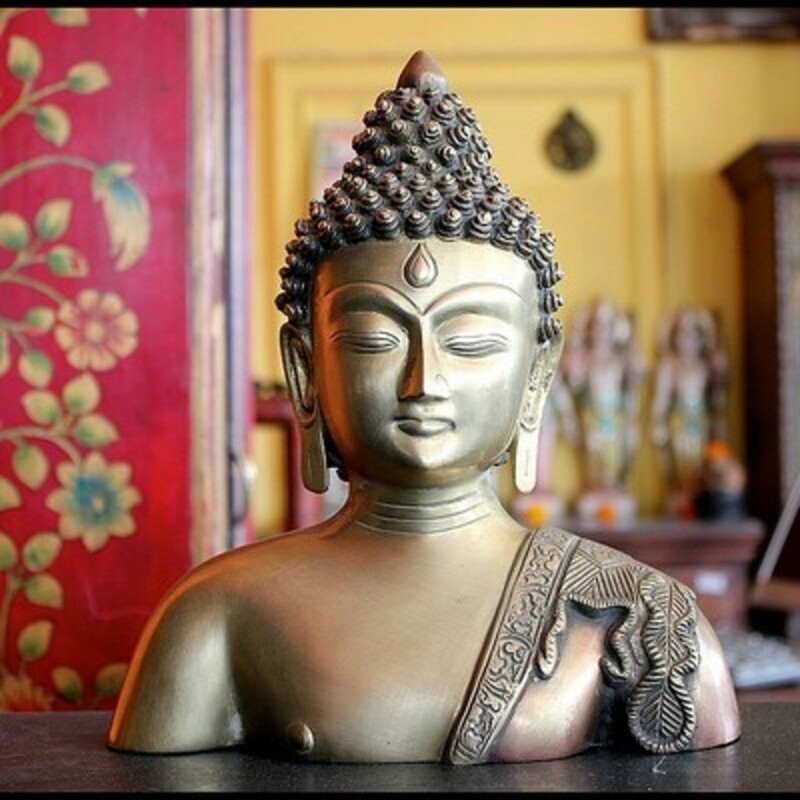 I have seen only one which is of Lord Buddha at Dehra Dun. It is really great and attracts many tourists. I am sure the other fantastic large statues may also be having a lot many people visiting them. Appreciated, voted up and shared. 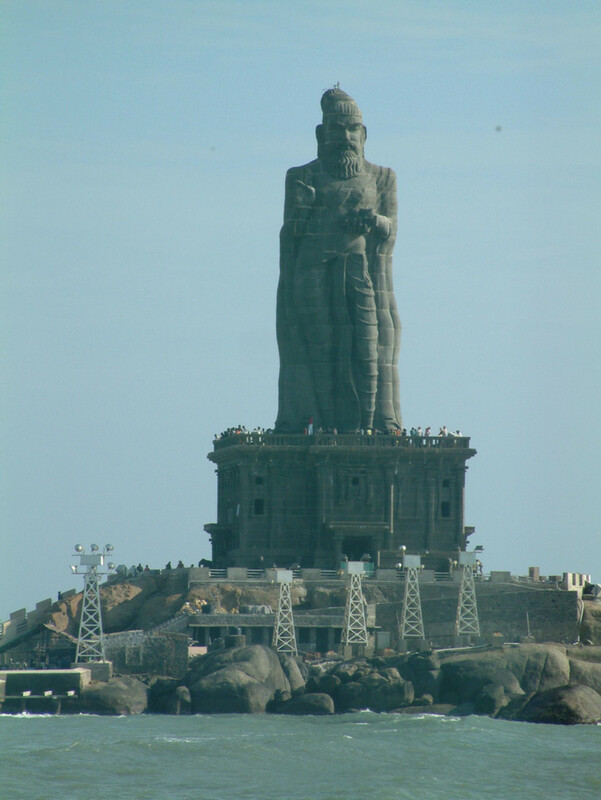 Thiruvalluvar statue,kanyakumari height is 133 ft representing 133 chapters in thirukkural.please correct it. A 108-foot tall statue of 12th century social reformer Basavanna, which is said to be one of its kind in the world, will be dedicated to the public on October 28. 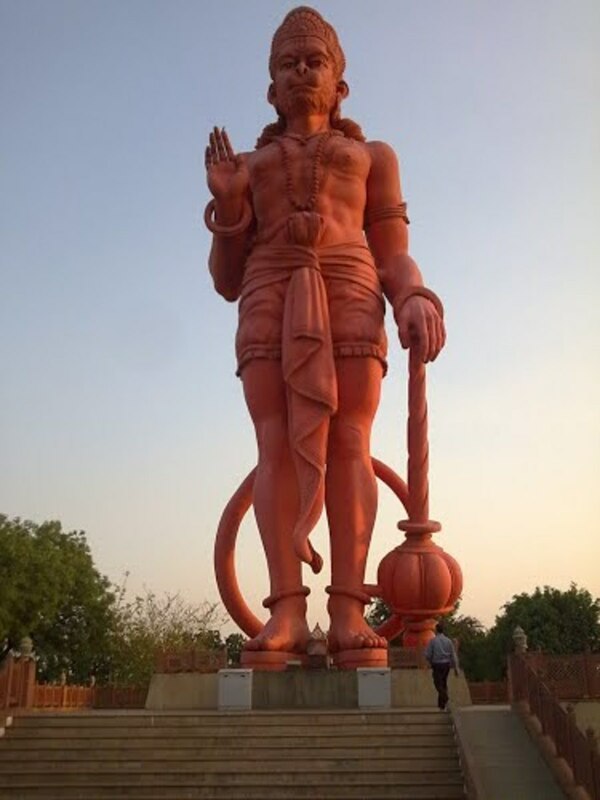 The giant statue has been built at Basavakalyan in Bidar district by the Basava Dharma Peetha, headed by Mate Mahadevi. 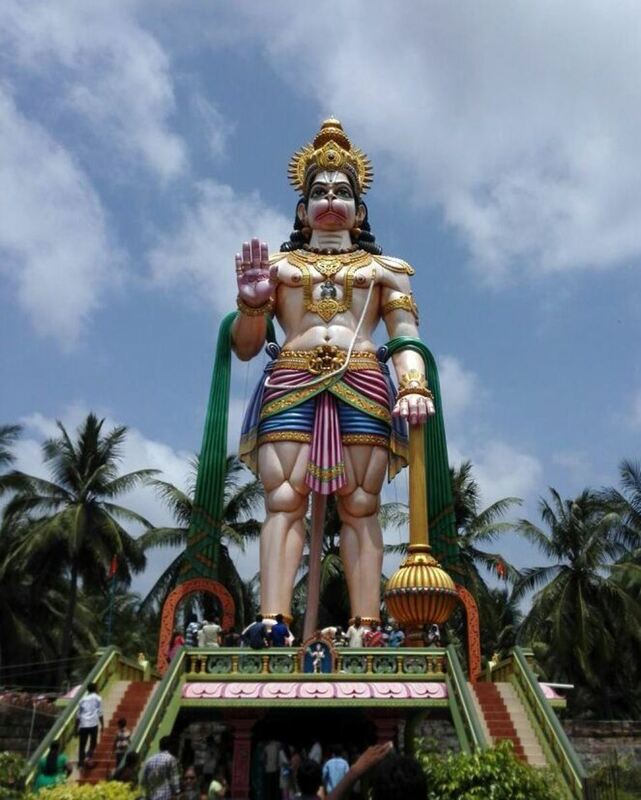 It has taken eight long years for sculptor Sridhar Murthy of Shimoga to complete the statue, which is built on a platform 80 feet wide and 24 feet high. Besides the main sculptor, around 60 skilled labourers are said to have toiled daily for 2,900 days to create the statue. 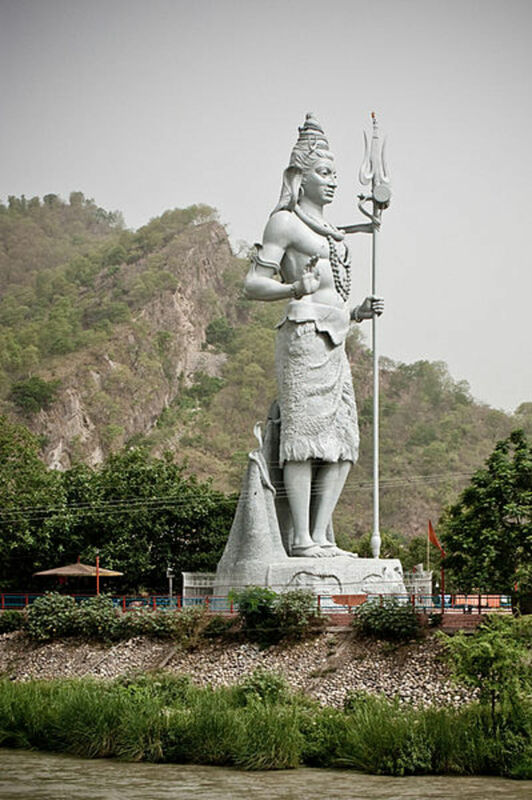 The platform is situated on a hillock and the statue stands 182 ft above the ground level. When the work was started in 2004, the cost was estimated at Rs 1 crore, but, so far, the Basava Dharma Peetha has spent Rs 6 crore on the project. The statue is said to have consumed 300 tons of steel and 16,000 bags of cement besides huge quantities of sand and other materials. The platform is a two-storey structure with a facility for screening a 3-D sound and light film depicting 32 main events in the life of Basavanna. This is said to have been built on the line of the one at Teen Murti Bhavan in New Delhi. 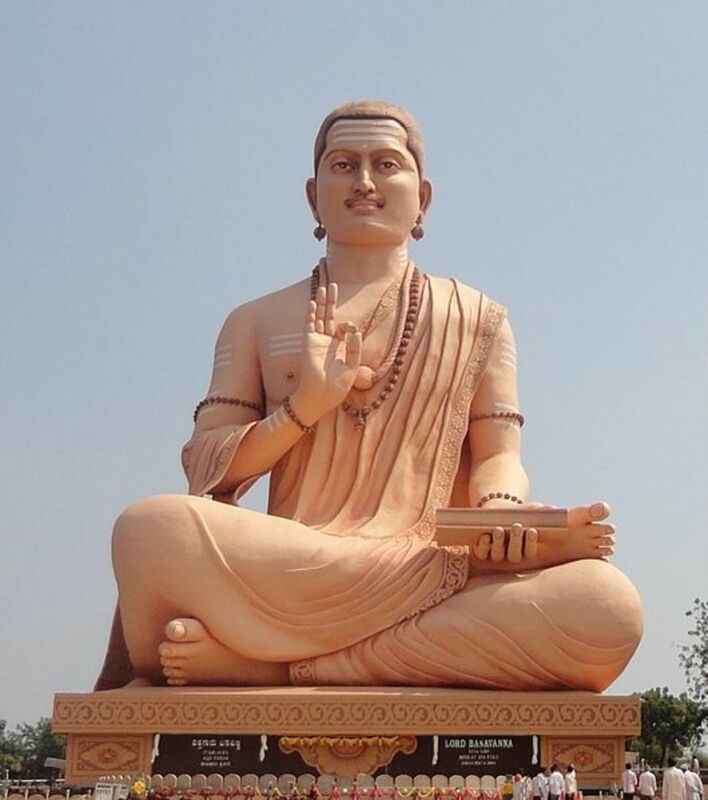 According to Channa-basavananda Swamiji of Basava Dharma Peetha, the statue has been built with a view to draw international attention to the unique Vachana literature which spread the message of equality. “During the 12th century, Basavanna and 770 Shivasharanas lived at Basavaklayan and set up the first parliament of the world –Anubhava Mantap. 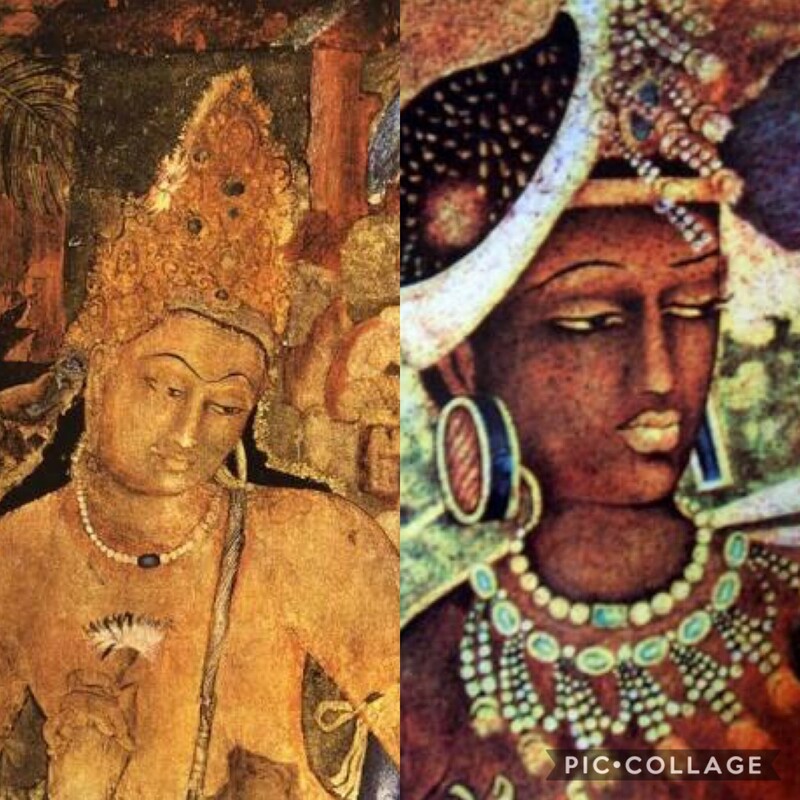 After the Kalyana kranti, the Shivasharanas left Basavakalyan and most of the caves, including the Anubhava Mantap, are in a dilapidated state. With a view to restore the past glory, Mate Mahadevi has undertaken the project”, the Swamiji explained. Besides the statue, there is also a cave built for Basavanna, another for Akka Mahadevi, which are 500 meters deep inside the hillock, and a Sharana Grama (village of saints) at Basavakalyan. @Lodoe Thanks for pointing the mistake. I've corrected the information. WOW, can we have some for the UK. Very impressive. @Vijay Negi My research says it's in Mindrolling monastery. The image used to represent it has also been sourced from the official website of Mindrolling. The Standing Buddha at Dehradun is Kagyu Monastery not of mindrolling monastery. the attention to detail on these statues is astounding. a lovely hub. @bethperry Thanks for stopping by, you are most welcome in India. Oh how gorgeous they all are! I would just love to visit every one of them. Thanks for posting! @Anishpat I loved writing this one. Thanks for the encouraging word. @GoGreenTips Hey you are always welcome in India. Great you loved the snaps. Really interesting! I absolutely loved the pictures they were beautiful! I wish I could see these in person...It would be truly inspirational. Thanks for sharing. Great Information! Thanks for the hub!